Archive for category: Tim Krul. 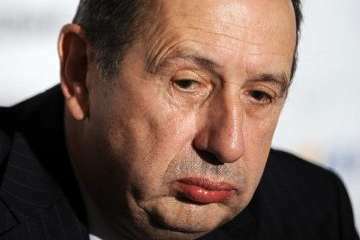 P45 for Georges Leekens this week. Venue: Jan Breydel Stadium, Bruges. Well, alot has happened in the world of Club Brugge since since our 1-0 victory against them at St James’ Park two weeks ago. Back in those dim and distant days, their manager was Georges “Mack the Knife” Leekens (that’s his nickname, honest!) and they were top of the league, having just suffered their first league defeat of the season (1-4 against Zulte-Waregem). Since then however, they have suffered a further three defeats (not counting the one at St James’ Park), and Mack the Knife has been given the order of the boot! So, will all of this Belgian bedlam be a good thing for our quest to preceed to the next stage of the Europa League ASAP? 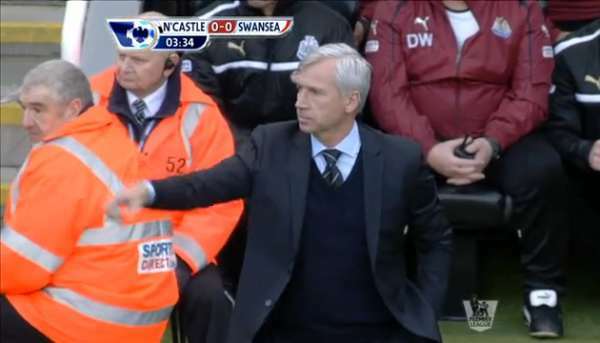 Or will this make the planning for this game more complex for Alan Pardew? Leekens was sacked following their last game (another defeat to Zulte-Waregem), so our Silver Supremo will be facing a team which will be far more of an unknown quantity under caretaker, Philippe Clement, who is the club’s reserve team coach. Will it be a case of “business as usual” for the team under Clement, or will he strike out with his own tactical ideas to try and arrest the team’s slump in both the Belgian Jupiler League and the Europa League? Of course, there is always the old cliche about the “wounded animal.” Altogether, this will add a bit unpredictabilty to preceedings this evening, both for Pardew and myself in preparing this humble preview. I did as much homework as I could on Brugge in my previous preview, but who knows now? Atromitos: A stiff test for the bairns. So where were you on March 15th 2007? It’s over five years since the Toon were able to compete in Europe, and on that day, with Take That heading the UK charts with a Morrisson’s Supermarket ad, we ended a roller coaster campaign (with wins over Celta Vigo, Fenerbahce and away at Palermo – Tim K’s senior debut) in the UEFA Cup with a rather dismal perfromance at Alkmaar, losing our two goal first leg advantage in the process.